Wow your guests with live screen printing add-ons. Package our live screen printing service with our additional activations to wow your guests. Give your event attendees additional customization options for a completely tailored event giveaway. Need full color designs or have a limited amount of space at an event? On-Site Heat Transfers and Patches allows our team to add custom names or numbers to your guests shirts or customize hard to print items like hats or mugs. Heat Transfers are a fast and effective way to produce custom items for a large crowd. On-Site Heat Transfers and Patches can be a completely stand alone activation, or great way to add an additional customization element to the the live screen printing activation. We can also pair On-Site Heat Transfers and Patches with our custom app to collect important consumer information and data. 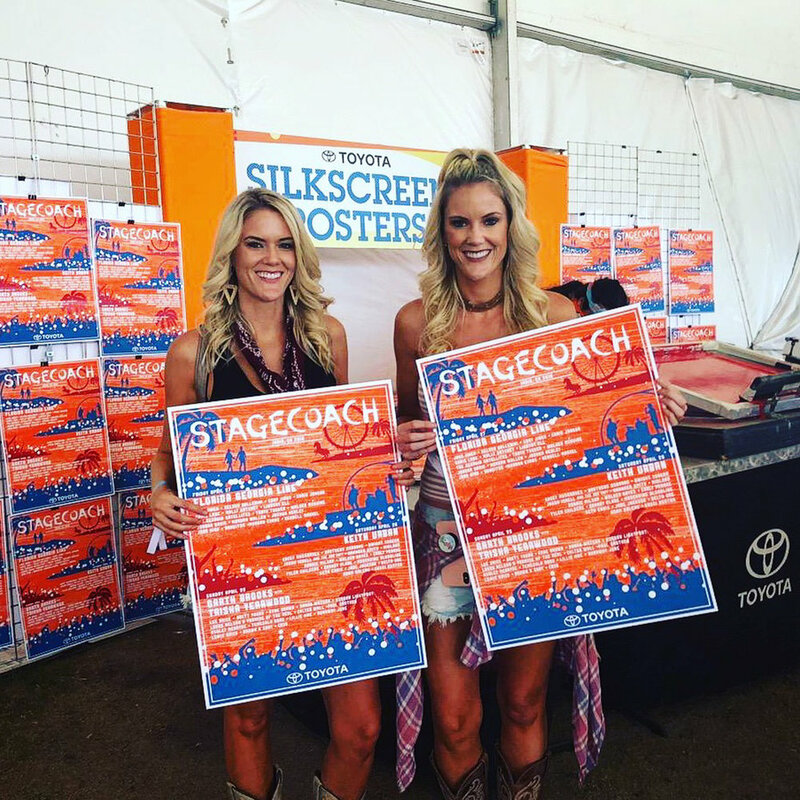 Screen Printed Posters are an effective way to commemorate any event and printing the poster on-site for event attendees makes it even more special. Our Screen Printed Posters team has toured with heavyweights like the Street League Skate Tour, Toyota, and Bud Light to print tens of thousands of posters across the country. A perfect activation for high attendee counts and complete on-site customization. Minimal footprint with maximum brand exposure. Buttons are an effective way to customize items on-site for the budget conscious. Use our custom app to let guests fully customize their designs, or choose from a pre-determined palette of branded options.